Malaria Consortium is piloting a project on integrated vector management to assess the effectiveness of various control strategies to prevent the transmission of dengue. The study is being conducted in Kampong Cham province, Cambodia and is funded by the Deutsche Gesellschaft für Internationale Zusammenarbeit (GIZ) GmbH commissioned by the Federal Ministry for Economic Cooperation and Development (BMZ) and UK aid from the UK government. There has been a marked rise in dengue in the country during 2015. According to a recent National Malaria Center report, health workers recorded 12,218 cases during the first 41 weeks of 2015. This is an increase of 9,284 compared to the same period in 2014. 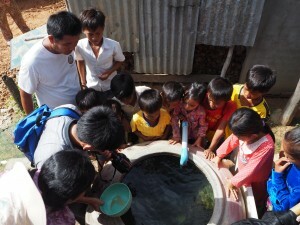 Kampong Cham is one of the high-risk provinces, recording several dengue outbreaks in recent years. Cases can skyrocket, especially during the rainy season, where the environment provides mosquitos with more breeding sites and human movements play a major role in the spread of the disease. A sample adult mosquito was analysed in the laboratory. 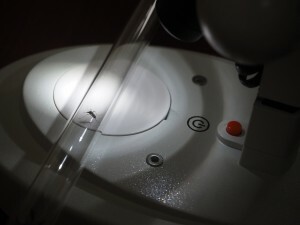 Species identification was made using a compound microscope. 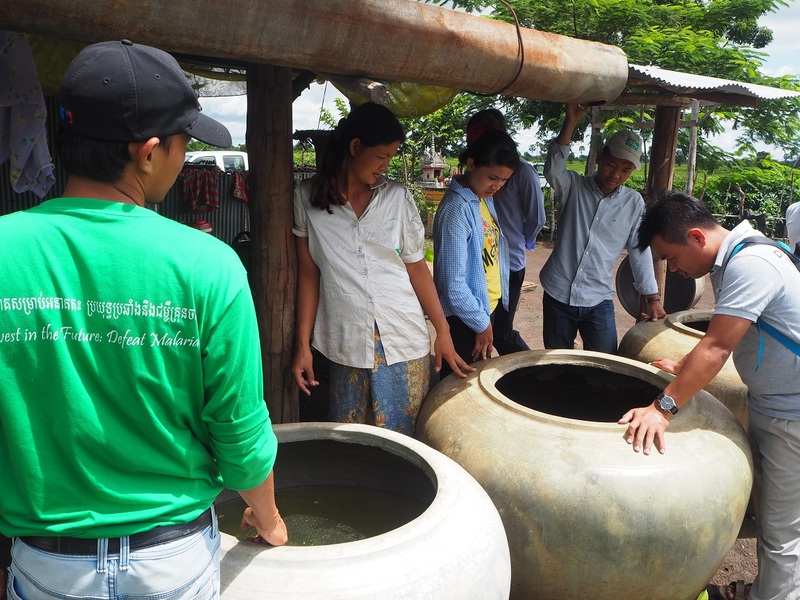 Malaria Consortium’s staff inspected the number and condition of guppy fish in water jars at the village health volunteer household. 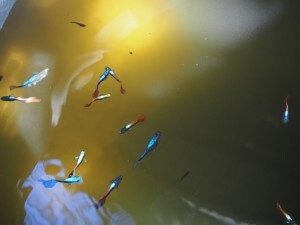 The fish collected from the guppy bank will be allocated to each household and released in their large water containers. 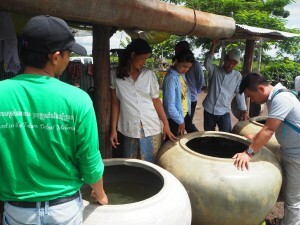 It has been found in previous projects to be effective and acceptable by the local villagers. Although there is evidence suggesting the use of guppy fish can be beneficial in dengue vector control, no cluster randomised trials to evaluate their effectiveness nor a proper evaluation of their impact on adult mosquito densities have been conducted. Guppy fish are bred and nurtured at the guppy bank at the health centre. To understand and evaluate the impact of a guppy fish and a combination of new vector control tools to sustainably reduce the Aedes mosquitoes, Malaria Consortium’s pilot project also implemented an entomological survey in the villages. In cooperation with the National Dengue Control Programme (NDCP), the entomological team was deployed to collect larvae, pupae, and adult mosquitoes from the targeted villages. All containers around selected houses were inspected and all samples were taken to the laboratory for further analyses. The survey received a lot of attention from the villagers. At the same time, a survey on the knowledge, attitudes, and practices surrounding water use and vector-borne disease prevention was also conducted. This separate survey aims to guide and evaluate communication and behaviour change interventions to reduce dengue transmission. Following the survey, training in behaviour change communication and health education was provided for the community health workers. The vector control intervention started in late November will last a year until the same period in 2016. Sample larvae and pupae were collected during the entomological survey.